Fall is coming! Cooler weather, vibrant beautiful colors - everything needed to inspire us to rejuvenate our wardrobes! 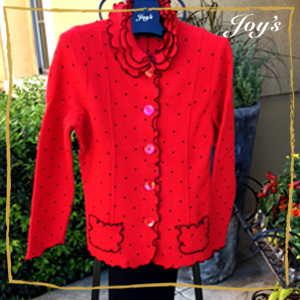 Another thing arriving is Joy's Uptown Style Fabulous Fall Fashions and just in the nick of time. We're in a flurry of opening boxes and displaying some gorgeous sweaters and jackets in a wide variety of colors. Come be the first to get to see and try on some of these beautiful Fall Fashions.